July 8, 2017 Ukiah, CA...... Charlie Collins of Upper Lake took the lead at the drop of the green flag of the “Protect the Harvest Nor Cal 60” and lead every lap for a $1250 payday at Ukiah Speedway Saturday night at race #6 of the North State Modified Series. When Trevor Cristiani of Nampa, Idaho set fast time of 13.181 seconds over the 23 car field, and then drew the number four for the inversion, that put Collins and Darrin Sullivan of Kelseyville in the front row. Kris Price of Rio Linda and Cristiani started in row two, and Sacramento's Jason Philpot and NSMS defending points champ and current points leader Darrin Knight of Kelseyville shared row three. Before even one was complete, Tim Buzzard Jr. and Sal Lopez came together resulting in Buzzard popping a tire and retiring to the pits. At the same time Kris Price's car broke a third member in his suspension, ending his run. When racing finally got under way Collins and Sullivan ran side-by-side for three rounds before the race was slowed when Richie Potts was tagged from behind by Rich Cobb sending Potts into a spin in turn two. While under caution Lopez discovered he had no brakes and parked his car. Adrianna Strugnell pitted for adjustments but rejoined the field in the back of the pack. The cars stayed tight on the restart with Collins showing the way. Sullivan ran a strong second with Philpot third, Cristiani fourth and Knight fifth. The yellow flag flew again on lap 14 when Ross English lost a rear end and slammed hard into the front stretch concrete. The damage was so severe on Ross' brand new car that it took 2 tow trucks to remove it from the track. English was uninjured. Two laps later Philpot slipped under Sullivan for second. Knight swapped places with Sullivan on 18. Philpot ran tight on Collins bumper and tried to nudge under Collins, but Collins was on a mission and drove his line. Meanwhile at mid-pack the cars were bunched up double-file with a good battle among Cody Braund, Terry Deal, Bryan Denton and Sierra Furia. Cristiani inched by Sullivan on lap 21, and at the half-way marker it was Collins, Philpot, Knight, Cristiani, Sullivan, Eric Price Jr, Dustin DeRosier, Andy Vanderveer, Eric Johnson, Furia, Braund, Deal, Bryan Denton, Potts, Cobb, Simi Tour, Terry Pittman, Strugnell and Tyler Caturegli. The leaders caught the back runners on lap 35 with Collins easily driving around Caturegli, Strugnell, Pittman and Tour. Philpot slid high on the track, and before he could regain momentum, both Knight and Cristiani gained position. Potts spun in turn four on 47, and at that point Pittman was the “Lucky Dog” getting his lap back. Three rounds later Deal lost control and spun on the front stretch. The final caution fell on the 56th circuit as Deal and Pittman crashed collecting Caturegli and Tour. The final four went without incident, and at the checkered flag it was Collins, Knight, Cristiani, Philpot, Eric Price, Sullivan, DeRosier, Vanderveer, Johnson, and Furia. 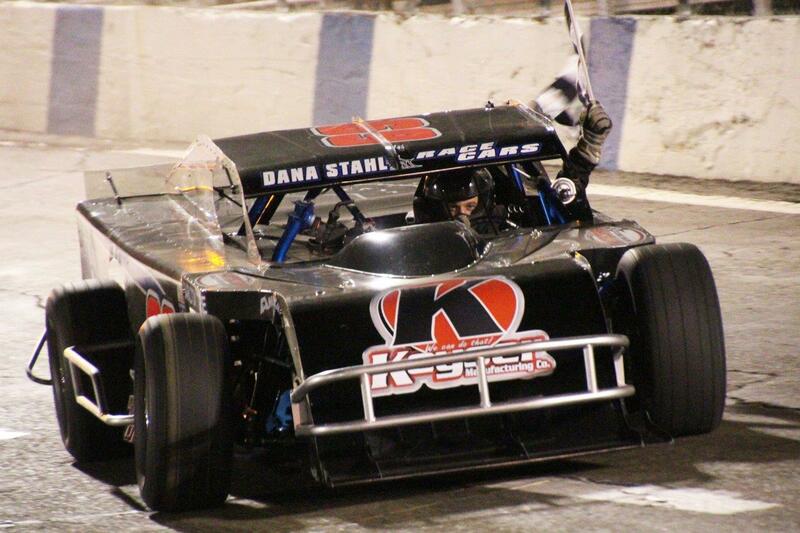 Collins is now only 7 points behind Knight in the North State Modified Series championship battle. Cristiani earned the Penney Racing Supply/Sunoco Fast Time Award. A very happy Adrianna Strugnell won her first Lucas Oil Dash for Cash to collect $100. Braund finished second for $50. Sierra Furia passed the most car for the Keyser Hard Charger Award, Darrin Sullivan received the Naake Suspension Award, the DJ Safety Certificate went to Simi Tour, and Cody Braund got the Racer Bling Award. Scribner Plastic jugs went to Strugnell and Braund. The North State Modified Series will take a break from the heat when it returns to Redwood Acres Raceway in Eureka on July 22. All modified drivers entering the race in Eureka will receive a $100 tow money bonus. This is in addition to the top 15 in points earning weekly Lucas Oil Tow Money. PROTECT THE HARVEST NOR CAL 60: Charlie Collins, Darrin Knight, Trevor Cristiani, Jason Philpot, Eric Price Jr, Darrin Sullivan, Dustin DeRosier, Andy Vanderveer, Eric Johnson, Sierra Furia, Cody Braund, Rich Cobb, Richie Potts, Bryan Denton, Terry Deal, Terry Pittman, Simi Tour, Tyler Caturegli, Adrianna Strugnell, Ross English, Sal Lopez, Kris Price, Tim Buzzard Jr.